← Friday is POETS day!! That means it’s podcast time again. This week’s podcast is something special. It is a new venture for me to record a famous poem by a famous poet and this will be the precursor to a series beginning in January 2014 ubtil June. 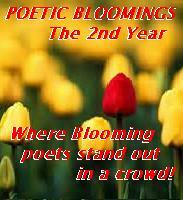 Next year, as well as the final podcast of the month being of a poem by a guest contemporary poet from the Blogosphere, the first one of each month will be a well known poem by a famous poet. This week to commemorate the 50th anniversary of President John F. Kennedy I am reading O Captain! My Captain! by Walt Whitman, originally penned for the death of President Abraham Lincoln. This entry was posted in podcasts, Poetry and tagged #For_JFK_50th, #O Captain. Bookmark the permalink.